Does the Bible Predict That Muhammad Would Rise As a Prophet? Recently, I heard a Muslim attempt to support his claim that Muhammad was a true prophet. Surprisingly, he cited some passages from the Bible to build his case. 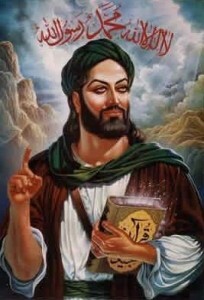 He wanted to show that the Bible predicts the coming of Muhammad, thus proving that he was a true prophet. Let me begin by saying that I believe Islam’s appeal to the Bible creates an interesting problem for them. According to the teaching of the Quran, the Torah (law of the Old Testament) and the Gospel accounts of Jesus are true, however, they have been altered. In other words, they believe that our modern Bible is no longer reliable. Yet, when a Muslim apologist wants to prove that Muhammad is a true prophet, they will appeal to the Bible -which they believe is unreliable. Obviously, this is contradictory reasoning. One cannot claim something is reliable and at the same time claim that it is unreliable. It must be one or the other. 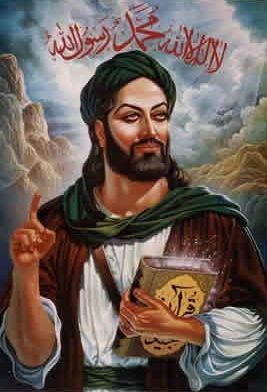 In any event, I would like to discuss three passages that are sometimes claimed by the Muslim to provide proof of Muhammad’s role as a prophet. Before I begin, however, I would like to point out that I have no axe to grind against the Muslim. I have prayed, and continue to pray for Muslims everywhere that they would submit to the great God, our Lord and Savior Jesus Christ. In fact, Muslims are converting at incredible numbers to Jesus Christ in both the west and east. …I will raise up for them a Prophet like you from among their brethren, and will put My words in His mouth, and He shall speak to them all that I command Him. And it shall be that whoever will not hear My words, which He speaks in My name, I will require it of him. The Muslim will point out that the “Prophet” in this text is Muhammad. They claim that the Arabs are offspring of Abraham and are “brethren” to the Jews. Indeed, the Arabs descended from Ishmael, Abraham’s son. And, it is true that the word “brother” can be used loosely among the Jews to speak of distant relatives. However, it is very difficult to imagine that the Jews to whom Moses was speaking would have understood the word “brethren” as a reference to the Arabs, who were traditional enemies of the Hebrews. In fact, three chapters before this passage, Moses uses the word “brother” and defined it as a Hebrew (Duet. 15:12). Therefore, using the definition that Moses had just provided, the most natural understanding of “brethren” in Deut 18:15 would be a Jewish man -which Muhammad was not. In 70 AD, Israel was defeated by the Romans in a war, and removed from their land. From that time, they ceased to exist as a nation because Rome dispersed the Jewish survivors all over the known world. When Mohammed was born (around 600 AD), there was no such thing as Israel’s “midst,” because the Jews had been so widely dispersed. Sure, there was a Jewish population near Muhammad, but there were pockets of Jews all over the known world. Fortunately, we are not left to guess about who the Prophet is that Moses spoke about. The New Testament makes the identification for us. The most interesting aspect of this scene, relative to this article, is that Moses, as well as everyone present, is told by God to “hear” Jesus. When we compare this to Moses’ prediction we find that the words of God would be put in the Prophet’s mouth and that everyone is to “hear” him. It is God Himself who instructs the listeners to “hear” Jesus. A striking similarity of words. The presence of Moses at God’s admonishment to hear Jesus should cause us to consider if Jesus were indeed the Prophet. He was certainly a Jew, and was raised up among the “brethren.” The case for considering Jesus becomes even stronger when we find that Jesus taught that Moses “wrote about” Him (John 5:46). Although in John 5:46 Jesus does not make direct reference to the passage in Deut. 18, it is hard to imagine how else His statement would be understood – since Moses wrote of no one else to come. But there is an important New Testament passage which takes all of the guesswork out of Moses’ prophecy. This is found in Acts 3. In that chapter we have Peter delivering his second recorded sermon. The subject of the sermon is clearly Jesus. Peter points out that Jesus was spoken of by God through “the mouth of all His holy prophets…” (vs. 21). He then lists what he sees as an example of Jesus being spoken of by a prophet by reciting the passage in Deut. 18. It is at this point that we can know for certain that the object of Moses’ prophecy is Jesus, and cannot be Mohammad. Therefore, Deut. 18 is simply not about Mohammad. A second Old Testament passage that is sometimes pressed into service by Muslims is Isaiah 41:2. In this passage Isaiah predicts the coming of someone from “the east.” The one coming will wage war and cause many to fear (vs. 5). Muhammad came from the east, waged war, and caused fear. But that’s where the similarities end; there is nothing else in the passage to suggest that Muhammad is in view. The fact of the matter is that Isa. 41 is in the midst of a section having to do with the Babylonian captivity. There can be no question who the “one” from the east is because in just a few more chapters we are given his name: Cyrus (Isa. 45:1). Cyrus’ reign brought an end to the Babylonian kingdom and he issued a decree for the Jews to return home. Simple reason and a good history lesson will show that Isaiah 41 is not about Muhammad. The third passage that I have heard Muslims attempt to show as proof of Muhammad’s tenure is John 14:16. This records Jesus saying, “And I will pray the Father, and He will give you another Helper, that He may abide with you forever” (NKJV). Muslims will claim that the other “helper” Jesus predicted is Muhammad. This suggestion, however, can quickly be discarded because in the next verse Jesus identifies the “Helper” as “the Spirit of truth.” Then, a few verses later Jesus again mentions the “Helper,” and again identifies Him as “the Holy Spirit” (vs. 26). Therefore, this passage finds no support for a prediction of Mohammed. If Muslims wish to use the Bible to make their point, then we must allow the Bible to speak completely. In all three of the passages mentioned, the Bible makes the identification of the subjects clear. None of them are about Muhammad. If you are aware of other Biblical passages cited by Muslims to prove that he is a true prophet, please let me know what they are. I would be happy to engage with anyone on those passages.